The Data Lab, Scottish Enterprise and Edinburgh Tourism Action Group are organising the Edinburgh Tourism Innovation Challenge at CodeBase from Thursday 5th to Sunday 8th October 2017. This event is sponsored by IntechnologyWiFi. Edinburgh’s tourism industry is a powerhouse and one of the most important economic sectors in Scotland, delivering £1.3 billion of spend and supporting more than 30,000 local jobs. These figures are rising and this high growth can bring challenges in destination discovery, forecasting the tourism population and navigation and planning around the city. Entrepreneurially minded data scientists and analysts, designers and software engineers will spend 3 days and 3 nights side by side analysing a range of tourism-related data to develop innovative products, services or tools that would help solve these challenges and benefit the tourism industry in Edinburgh. 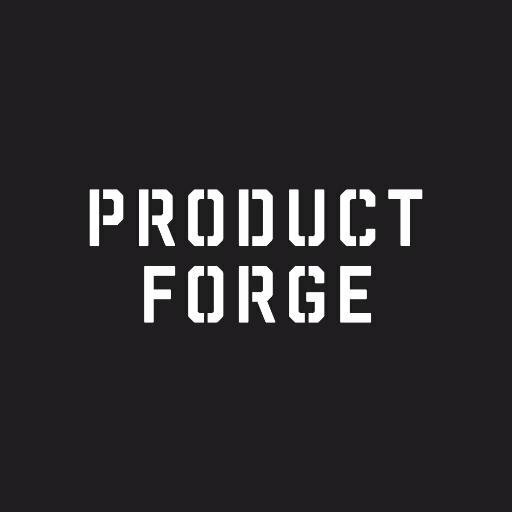 Participants will form small cross-functional teams to work on a product prototype with support from subject matter experts and the wider technology community. Datasets will be provided by a range of public, private and third sector organisations with a stake in the Edinburgh tourism industry. Whether you already have an idea that you would like to prototype or you would just like to make new connections, we invite you to come along and meet talented people with a shared interest in innovation in the tourism industry. £5 Student tickets and Product Forge Members Concession tickets available. Joshua is responsible for programmes that aim to improve data science skills across Scotland. He joined from Nesta where he set up and launched the £10m Longitude Prize and designed and ran multi-million-pound international challenge prizes in the fields of digital technology and the environment. Prior to it, Joshua worked as a consultant in Bosnia and Herzegovina working with international organizations such as UNICEF and IOM to design projects related to constitutional reform, tourism and reconciliation. Paul is an energetic and highly successful senior manager with excellent business development, strategic marketing, corporate communications and client management skills. Donagh is a multidisciplinary design strategist working across various service innovation, transformation and holistic urban planning projects. He is based at the Institute for Future Cities, at the University of Strathclyde. His practice has grown from architecture into new areas of design thinking, and sits at the crossroads of design, technology and social change. Donagh has supportedtravel and tourism startups through programmes for Wayra Telefonica, and Ireland's Department for Jobs and Innovation. Ewan is a researcher in computational linguistics and natural language processing, with interest in practical applications of language technology. Currently focusing on tasks involving semantic analysis and inference. Ewan is also an ambassador for the Open Knowledge Foundation. Patrick is the Marketing Manager at IntechnologyWiFi, with a previous career spanning PR, content, communications and journalism across a range of industries. Manuela has worked in tourism since she arrived in Edinburgh in 1986. She trained and worked as a Blue Badge Tour guide and specialised in business tourism, working at conferences and on incentives. Manuela joined VisitScotland in 2005 in the Business Tourism Unit, later moving to the business engagment side of VisitScotland shortly after becoming the Regional Partnerships Director for the South of Scotland. Ailsa has been involved in Edinburgh city marketing for 10 years managing the development & implementation of the city brand then working for Marketing Edinburgh to promote the city globally. She’s been managing the Connected Capital Programme aimed at improving connectivity in the city through broadband vouchers indoor wifi and the launch of the city centre’s outdoor wifi. She now works with council colleagues and external partners to help them better exploit technology to deliver their ambitious targets. Ewan is the principal data scientist at Skyscanner. He trained as a physicist, and grew into a data scientist by learning about business and teaching himself code. I have a passion for technology startups and in particular the technology startup community in Scotland. Through RookieOven (http://rookieoven.com) I strive to raise the profile of the Scottish startup community internationally and provide resources beneficial to the success of fellow Scots in technology. Lesley Judge is a Chartered Marketer with 20 year’s business experience. She runs her own tourism marketing consultancy Smart Tourism, focusing on digital marketing communications, destination development and industry engagement, working with organisations including destination organisation Love Loch Lomond, ASVA, and the award-winning Destination Leaders Programme (DLP). Passionate about connecting tech with tourism, and developing strategic uses of data for tourism. Matthew is a Data Scientist at The Data Lab. He has experience in academia, industry, startups, and consultancy. As well as a founder of Glasgow AI and co-founder of ML Club. Matthew is interested in the design and evaluation of interventions, and helping everyone move up the data science hierarchy of needs. He has a PhD in Computational Statistics and Machine Learning from University College London. Martina works as a Data Scientist at Mallzee, the leading mobile app for fashion discovery, based in Edinburgh. Martina analyses the data about clothing preferences of users, deriving insights and building algorithms to forecast trends and recommend users relevant items. She also works with other teams in the company to inform the whole business decision making process. Daniel is the Senior Tourism Development Manager of Scotland’s biggest Destination Marketing Organisation and Convention Bureau. For the next 3 years, Daniel will be contracted by Scottish Enterprise to provide agile and innovative business support to increase productivity levels in Glasgow’s tourism sector. He is professional member of Entrepreneurial Scotland, Scotland’s Town Partnership and with regard to digital project management he is a Certified ScrumMaster® with Scrum Alliance. Susan spent fourteen years working across tourism roles and is currently the Marketing Manager at Festivals Edinburgh. The strategic umbrella organisation for the city’s major festivals, she leads on delivering major integrated campaigns promoting the Festival City within key domestic and international markets. Susan founded WIT, is a Chapter Leader for Travel Massive Edinburgh and sits on Edinburgh’s China Ready Steering Group. Aileen leads Scottish Enterprise's strategic support to the tourism industry focusing on destination development; data & digital tourism. Working with partners including the Scottish Tourism Alliance she is helping to create a positive environment for growth in the Scottish tourism economy. Synden works as a Project Manager for Scottish Enterprise - working in several sectors at one time to deliver key economic development projects. Developer at The List Ltd.
Andy has been a Lead Developer at The List for six years having previously worked in start-ups, consultancies, multi-nationals and government organisations on a variety of IT projects. Main interests include semantic web, linked data and machine reasoning. Nicola has worked in catering, retail, publishing, technology, and now tourism using data and insight to understand a customers need and create unique interactions. She uses the increasing volume of data organisation to improve relationships. Nicole believes strongly in the success and future of the direct marketing industry and sits on the Council of the Direct Marketing Association where she heads up the events team. Allan has a keen, entrepreneurial passion for technology and this has been central to his career since joining Forth Communication in 1998. He has a long history of innovating, spotting opportunities and bringing the right people into the business to deliver & sustain growth. Roger Halliday started as Chief Statistician in November 2011, and Chief Data Officer in April 2017. Before that, he worked in the Department of Health in England as a policy analyst managing evidence for decision making across NHS issues. He qualified with a degree in statistics in 1993 from St. Andrews University and joined the Department of Social Security (as was) as an assistant statistician. His areas of expertise are around children, learning, skills and the economy, as well as in health. Rob graduated with a BA(Hons) in Marketing from the University of Strathclyde in 2000. He is a positive, forward thinking and highly commercial individual who goes to great lengths to ensure that he fully understands the categories he works with. Rob currently holds the position of Head of Marketing at Edinburgh Airport. Polly started her career with the Royal Bank of Scotland Group working in the City of London. Polly noe represents ScotlandIS on theScottish Government’s Digital Public Services, Advisory Board, the Digital Excellence Business Excellence Partnership, the ICT & Digital Technologies Skills Group, and the Industrial Advisory Board of the University of Dundee's School of Computing. She chairs the board of CodeClan, is a director of dotScot Registry, and a Trustee of the Digital Xtra Fund. Tony is currently the Data Analysis Manager for IntechnologyWiFi. A graduate in Data Processing, he has worked in the IT industry for over 30 years, originally as a software developer and then holding a range of managerial roles. The focus of his more recent career has been centered around Data and Analytics. Recently, he has worked on collaborative analytics projects in the Higher Education sector with JISC and HESA.